you take out with you on a run or to school or campus, they can take a beating. Well with our latest headphones which we've got in for review we're not prepared to take any compromises. We want to see whether spending a considerably larger amount of money buys you a lot more in the headphone stakes. Lets start first and foremost with the experience as you get these things out of the box, which in itself is quite an experience. As you can see to the right these things come in a pretty nice box. It's black cardboard with a nice silver embossing on the top left, it just feels classy as soon as you get to the box. Then as you lift off the lid you're greeted by the headphones which are situation in the strangely textured and incredibly soft bedding which holds the headphones in nice and snug. That's the welcome you receive so you definitely get what you pay for in that regard. When you take the headphones out of the box you won't be disappointed either these things feel amazing. They are unbelievably soft to the touch, not only on your hands, but also on your head. The sheepskin which coats the headphones is exactly what Bowers & Wilkins claim, it's 'durable, hard-wearing, yet remarkably soft and supple'. It's very difficult to have any qualms with the build quality here; things are hard when they need to be and soft in all the right places. These headphones are also very comfortable to wear too! In our experience we haven't had any of the issues we had with the WESC headphones when it came to wearing these over glasses. We're confident you could wear these for a good few hours before you felt any irritation at all, this is thanks in part to the way these headphones don't clamp onto your head. Instead they seem to have just enough to keep the headphones on when you're walking around, but we can't recommend them if you're planning to be running with them on. It's also nice to have a set of headphone which don't have oversized earcups on. 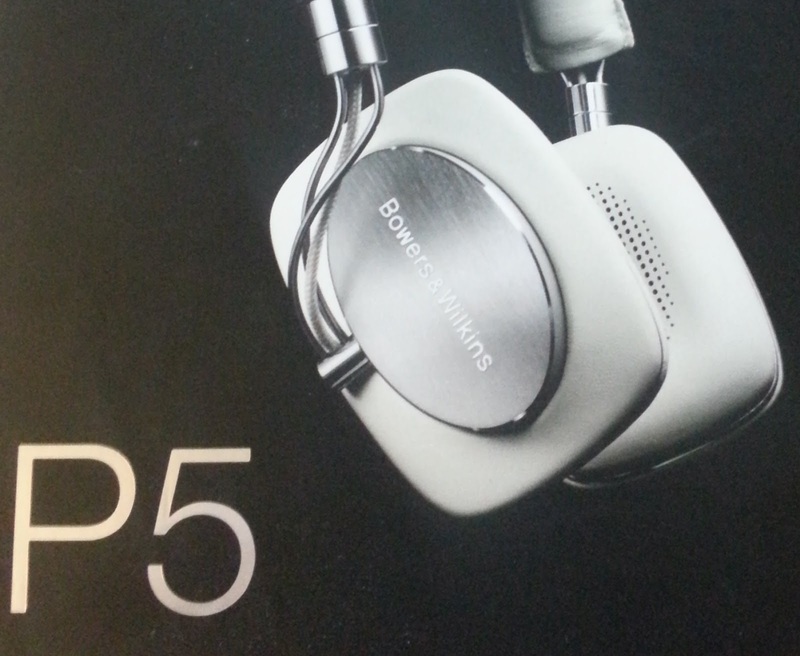 Instead the P5's employ a more pad-like design, helping to keep everything thin and more compact. When you put the compact design with the aluminium and sheepskin, which is available in white and black, you have a relatively retro look which remains stylish and very comfortable. the cable provided is insanely thin and even if it wasn't it's a good idea because it's always the cabling which gives up first! We would suggest being delicate with the cable if you want the original to last for a while. "‘Deep’ bass. ‘Enhanced’ treble. Sounds good on the pack, but the problem with the gimmicky effects that so often come with other headphones is that they quickly become tiring with extended listening. With P5, you get a far more natural sound, and longer-lasting listening enjoyment." There's lots of layers which help shut out noise! That is a claim which is hard to dispute with these headphones. To their credit the guys have managed to avoid the overly heavy base of some headphones, whilst keeping a sound which is faithful to the original recording. 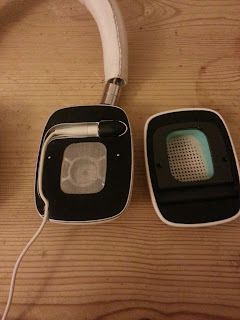 There's next to no distortion, it's very hard to fault the sound which these headphones provide. cancellation, instead we have noise insulation which does well enough. The combination of sheepskin, padding and metal construction is enough to shut out most low level noise. This is an interesting point because it says on the box that these headphones are made for iPod and iPhone. That's great for a section of the population, but if you have an Android device then the in-line volume rocker and microphone probably won't work for you. We've tried to get them to work on both the Samsung Galaxy S3 and the Sony Tablet S without any luck which is a bit of a shame. Aside from that there were no issues with music playback through the 3.5mm headphone jack on both devices, as well as three laptops running Windows 7 and 8 and we expect that this will be the same more widely too. 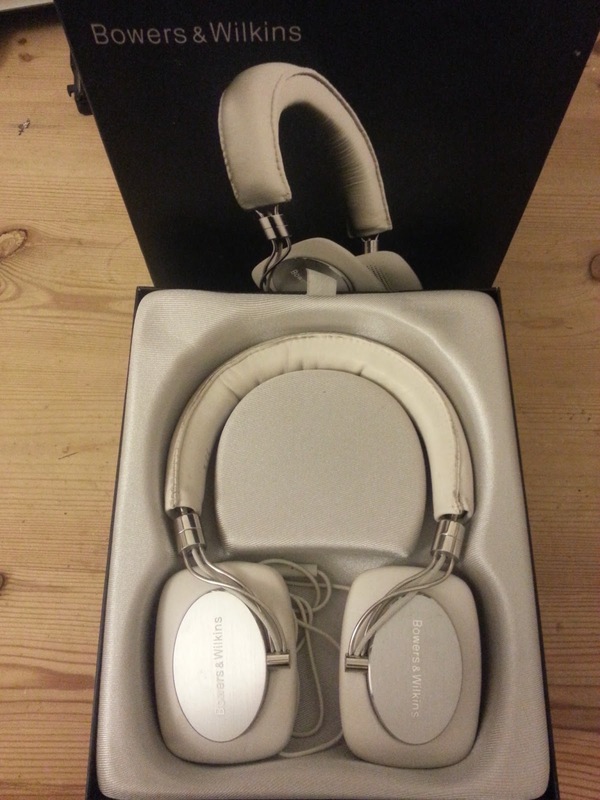 Overall these are a fantastic set of headphones. They are on the expensive, but this is certainly a case of you getting what you pay for. They are very comfortable, the sound is hard to fault and it'd be a challenge to find someone who would be disappointed with their investment if they bought these! We'd give these a special recommendation if you have an iPhone or iPod to use them with too. 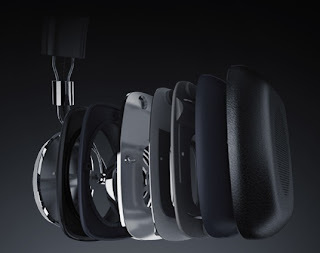 If you have any questions about these headphones we'll be happy to answer any questions in the comments below and for those of you who like added bonuses check out the full gallery below where you can see the carry case which comes for these headphones too!